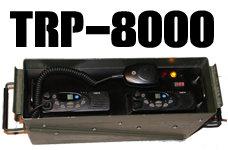 Timberline Radio Systems Ltd. has been in the business of building, designing and engineering land mobile radio systems for many years. We supply commercial grade, fixed station & Solar Powered Repeaters for VHF Land Mobile, VHF Marine & Aviation. On jobs that are tough to tackle, especially in remote camps, we're equipped with the latest in transportation, communications and safety gear. Whether you're situated on a remote mountaintop, remote camp or mining operation, we provide you with old fashioned service you can trust. At Timberline Radio Systems Ltd., we supply Land Mobile Two Way Radio Equipment, VHF & UHF Radio Repeaters, as well as Satellite Phones throughout Western Canada, Northern Canada, USA and Internationally. Timberline Radio Systems Ltd., is an installation contractor. 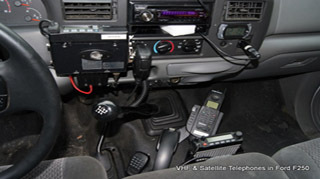 We install, repair and maintain VHF & UHF Radio equipment, onsite anywhere in Canada. No matter where your operations are based, we're available by Land, Sea or Air and travel onsite throughout Canada and Internationally. Sp ecializing in Construction Camps, Remote Work Camps, Industrial Sites, Mining Operations & Oil & Gas Facilities. With a wide variety of Two Way Radio Systems available, we support conventional VHF & UHF as well as LTR & NXDN; an emerging standard for Digital Two Way Radio.